Management | SCI Management | We build everything above industry standards. Including our reputation. Leadership so strong, we suspect they’re reinforced with rebar. When Craig started this business in 1977, he thought he was starting a company. Instead he was establishing a legacy – a legacy of quality, integrity, and dedicated service. It didn’t take long for Craig to build SCI into one of the Intermountain West’s biggest success stories. Currently, Craig leads an employee base of 300 people, which includes many members of his family. Craig has made a statement by keeping SCI a family oriented company for more than 30 years now. Craig has attended both Weber State University and Davis Applied Vocational Center. He has also gained such extensive field knowledge that he is proficient in all areas of the business, from office operations to field operations to equipment operations. Craig has a private pilot’s license, and previously sat on the board of Directors for the Associated Builders and Contractors of Utah. He also holds a Board of Directors position with the Captive Resource Insurance Group, and is a Master Graduate of Rapport Leadership International. The second SCI became a company, Debbie became a part of it. She jokes that she’s been with us since the beginning of time. Debbie has been a critical component in our overall success. She has worked as our Treasurer and Office Manager and until recently, she’s also been a Controller. Debbie is self-taught in accounting and has taken many professional training courses. She also earned the honor of Master Graduate by Rapport Leadership International in November 2006. Because of the strong sense of family within the SCI organization, Debbie’s work has been more than just doing a job. She has had a vested interest in helping her sons grow and in further developing the company. 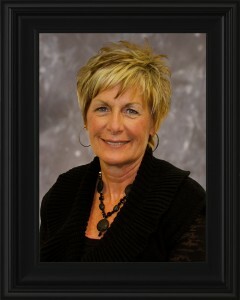 Outside the office she loves traveling, golfing, camping and spending time with her grandchildren. You could call Chad a lifelong member of our company, but his official tenure with SCI began straight out of high school when he signed on as a Drops Installer. Since then Chad has worked especially hard to gain a wide range of experience. He has held a variety of positions within the company including Foreman, Project Manager, and Director. In 2004 he was promoted to President of SCI, and continues to carry on the Sorensen legacy of strong, family-oriented leadership. Chad is a Master Graduate of Rapport Leadership International. He is also the director of BUY (Building Utah Youth) Foundation, a youth organization committed to establishing leadership skills in our future business leaders. When not on the job, Chad is often seen trap shooting, hunting, camping, and playing softball. Clint has worked for SCI since 1997. Clint started his career at SCI literally at the ground floor, installing telephone lines in our Drops Division, quickly being promoted to field supervisor. Clint has also worked in our Aerial Division doing overhead CATV and then moving on to underground installation of coax cable. Clint has spliced fiber optic cable, sweep tested, and certified CATV systems. Clint was promoted to Wasatch Barricade division manager in 2004, and controls all of SCI’s dispatching of dump trucks, transports and vacuum trucks, while managing, estimating, and controlling Wasatch Barricade in Utah and Arizona. 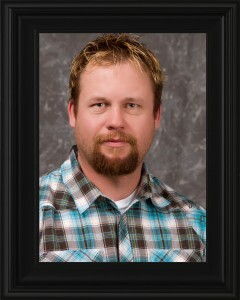 Besides being certified at fiber splicing, Clint is a UDOT certified traffic control supervisor and flagger certified. Clint has completed many classes in leadership, communications, dispatching, and training on various computer software programs. Clint is also a Director on our Executive Team. Cody started working for SCI about 14 years ago off and on during the summers when he was still in high school. Initially, he worked in the shop steam cleaning equipment and trucks and keeping the shop and yard clean. He particularly remembers the first summer being too young to drive so he would have to ride his bike to work on several occasions. After graduation, he worked for a few months on Drops until he enrolled at Weber State University. In between college breaks, he would work for our structured cabling department, doing inside wiring of voice and data networks, and later worked part time in the accounts payable department. He later pursued his passion for computers and technology when he applied for an I.S. Technician position, where he worked for 4 years before being promoted to I.S. Manager. He is a graduate of Weber State University with a bachelor of science degree in Information Systems and Technology. He has designed and implemented several databases and programs, such as our equipment database, job scheduler and drops databases, our bid database, barricade tracker, and an HRIS system known as PRIMO and our time card system, to name a few. Chase has been a full-time employee of SCI since 2000 but he’s been a part of our company his entire life. Over the span of his career he has served in many different positions. He got his start working in our Fleet department assisting our mechanics in maintaining our equipment. He was quickly promoted into the field initially working as a laborer on an excavation crews. He was promoted to the position of Buried Service Wire Foreman and then moved into our Horizontal Directional Drilling department as a Foreman. He successfully ran a Bore crew for 4 years. Chase is currently using the knowledge he obtained from working in the field for 8 years as on OSP Estimator. Chase attended Weber State University and is also a Rapport Leadership Master Graduate. Kelly Nielsen has done just about everything since starting with SCI in August 1978. He started out as a Cable Installer and worked his way up through the positions of Operator, Foreman, Superintendent, Project Manager, and COO. He now works as SCI’s Vice President and oversees our wireless cell tower crews throughout the western United States as well as managing our high profile outside plant construction projects. People who work with Kelly appreciate his enthusiastic approach to everything he does in life. When Kelly is not in the office, he likes hunting, scuba diving, and getting away in the mountains. He can often be heard bragging about his four children. Kelly really enjoys working for a company that cares about its employees, and he is excited to see SCI expand as its operations enter new states and become more diversified. Jeremy has been with our company for over 20 years starting his career as a laborer in the Drops department and moved onto Directional Drilling. He has worked his way up through the ranks of Foreman, Project Management, Estimating and Sales, Fleet Management, Materials Management and our Safety department.